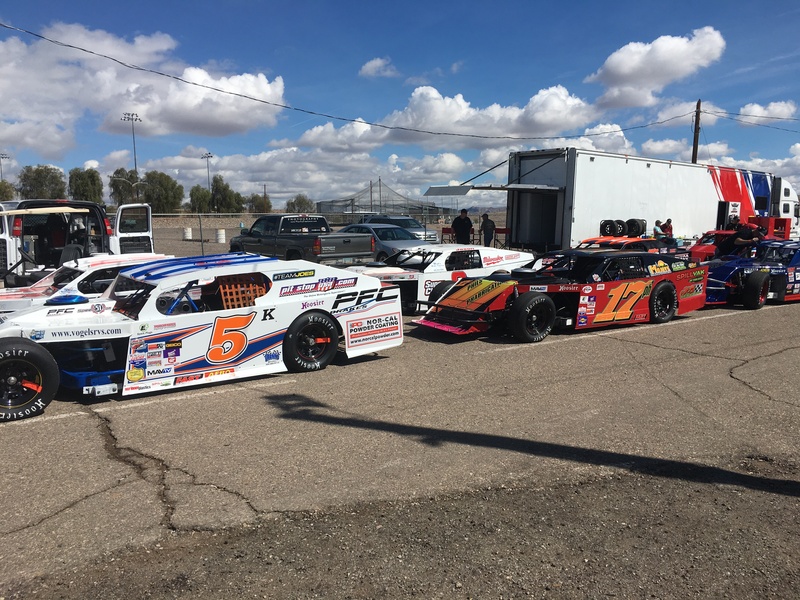 LAKE HAVASU CITY, Ariz. — The Lucas Oil Modified Series presented by MAVTV was back in action for its first race of the season on March 11th in Lake Havasu City, Arizona for the Racing Plus 100 presented by LucasOilRacing.TV. The race would be delayed until Sunday afternoon after rain postponed Saturday’s on track activity. Larry Gerchman led the field to the green flag but was quickly passed for the lead by the Rancho San Diego, California native, Taylor Miinch who is no stranger to victory lane at the Havasu 95 Speedway with his number 4T modified. Miinch would increase his lead and seemed to get quicker every lap, turning the fastest lap of the race on lap 72 with a time of 15.449 seconds. Just three caution flags would slow the 100-lap event, with the most notable flying on lap 43 for Cody Kay in Turn 2 after dealing with a flat tire and making contact with Scott Winters and his 24A machine. Miinch would survive every restart, however, to claim his sixth career Lucas Oil Modified Series victory by an astonishing 7.808 seconds and proving to everyone that he is most definitely a threat to win back-to-back championships this year. Second place would go to Kyle Tellstrom after a patient battle with pole sitter Gerchman who settled for third. 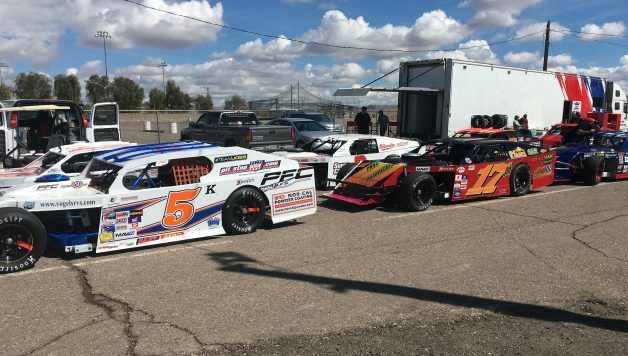 Yuma, Arizona’s Blake Rodgers would finish an impressive fourth, and Albuquerque, New Mexico driver Jason Irwin rounded out the top five in his best career finish at the Havasu 95 Speedway. “I was happy to leave Havasu with a top 5 finish, a career best at this racetrack. I thought through practice we were a top 3 car, but with the race being pushed back to Sunday and during the heat of the day, the balance of the car was a little off all race just being too tight in the center. I was very happy with how well the team worked together all weekend, and we are going to continue to grow together and continue to try and bring faster cars to the track each week. 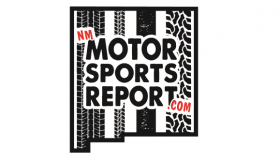 I am looking forward to Tucson Speedway and know that we will be a tough competitor to get to victory lane,” said Irwin. 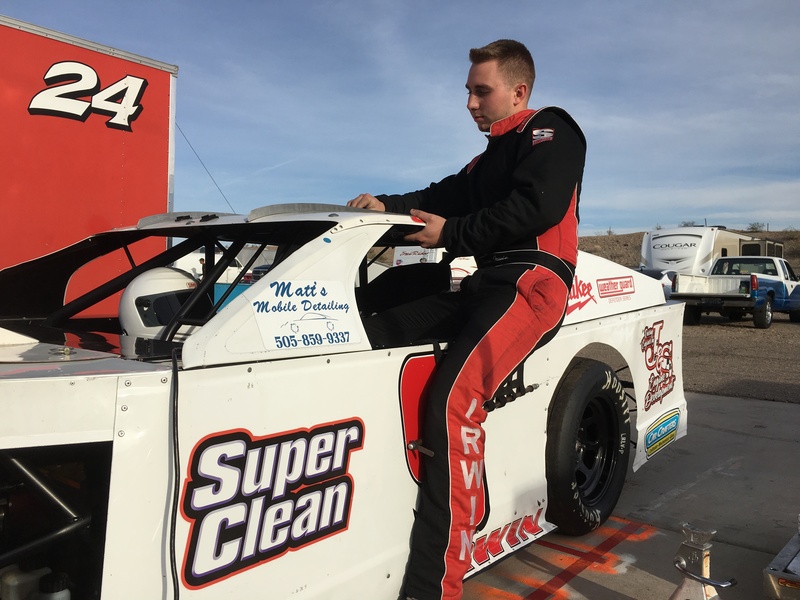 The Lucas Oil Modified Series presented by MAVTV will be back in action on April 14th at the Tucson Speedway in Tucson, Arizona for the SuperClean 75 presented by Hoosier Tire where Taylor Miinch will look to repeat his 2017 victory and continue his chase for the championship.